Rotherham Hockey Club’s player and coach Chris Parke has had a major injury fracturing his neck in a freak accident (non-hockey related) whilst on a hockey tour 10 weeks ago. He is still in the critical care unit at City Hospital, Nottingham after having a number of emergency operations. It is not yet known how long he will take to recover from his injury but the Doctors say it could be a very long time. He is currently making good progress and has partial movement above his waist but nothing else. His neck brace has been removed during the day and he is being weaned off the ventilator that is supporting his breathing. He is being continually monitored and looked after 24 hours a day by the superb staff at the hospital. 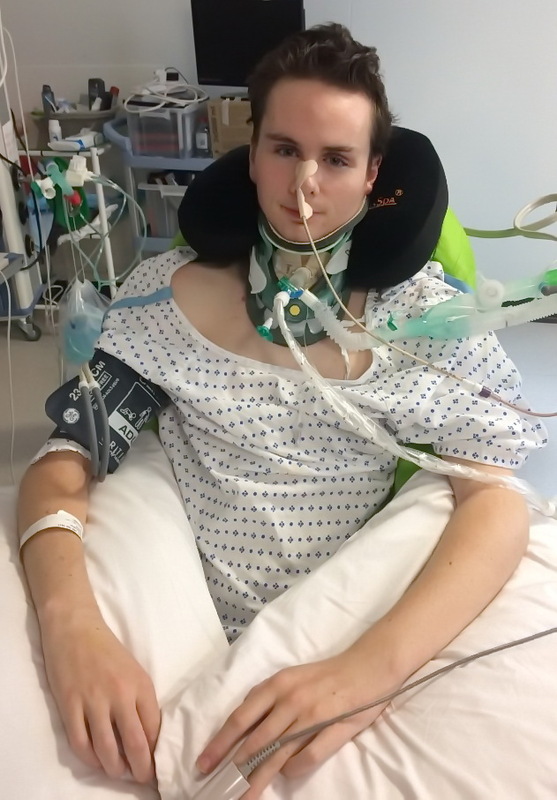 Doctors have advised Chris and his family that it is very difficult to predict whether any permanent damage has been done and that his injuries are such that he may never walk properly again. When his body is strong enough for him to breath on his own it is expected that he will be moved to a special spinal unit. Chris, who is 21, has been a club member since he was about 8 years old and is currently in the Men’s 2nd team and coaches in the youth section. He has made many friends at the club and we are all devastated that this injury has occurred. His family have asked us to thank everyone for all the kind good wishes at this difficult time. His friends at the club are aware that Chris and his family will need a tremendous amount of support both moral and financial for them to deal with the after effects of this injury. The club is holding a number of events to raise money for Chris’s long term care including a “Sponsored Walk” on the 21st October around Rother Valley Park, a ”Hockeyathon” on 15th December and some other events. A “Just Giving “ Site has been set up Just Giving: Chris Parke if anyone wishes to contribute to the fund. We all wish him well and look forward to a speedy recovery. David Woodward, President, Rotherham Hockey Club.